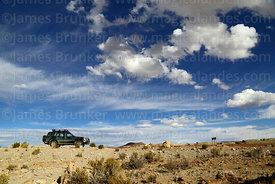 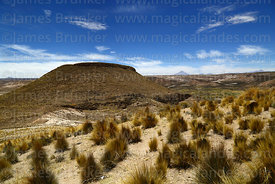 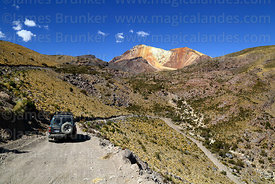 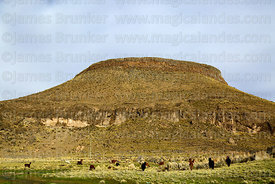 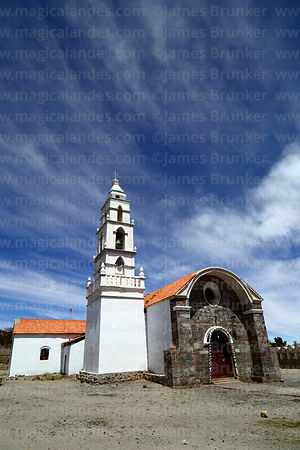 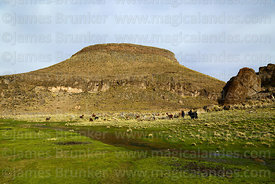 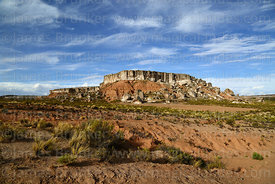 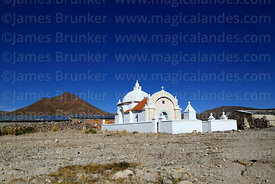 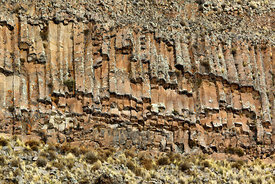 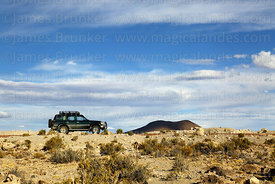 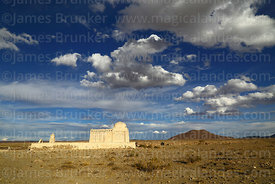 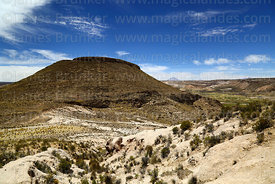 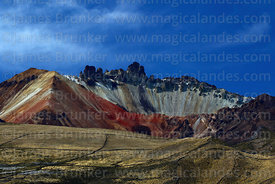 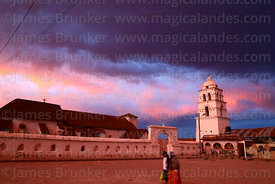 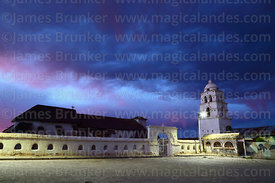 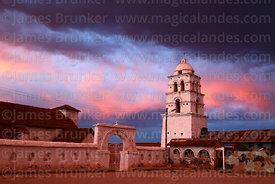 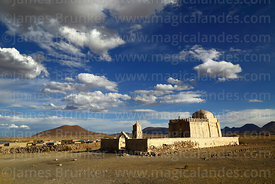 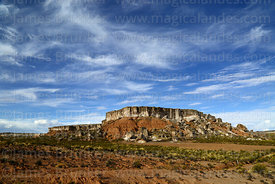 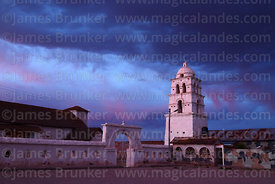 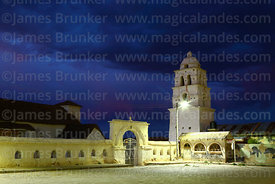 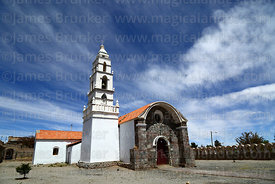 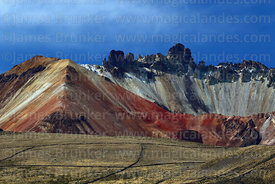 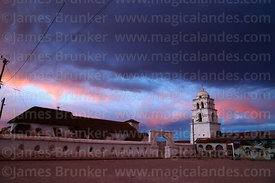 Oruro Department covers an area of 53,588 km² / 20,690 sq miles in western Bolivia, its capital is the city of Oruro. 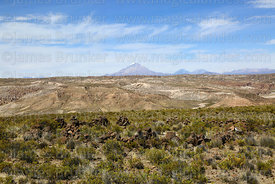 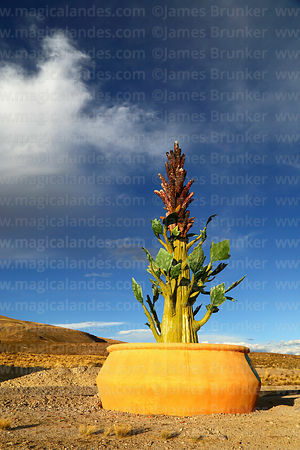 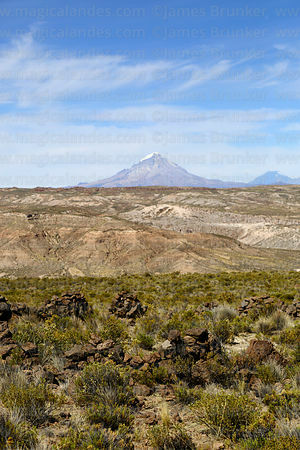 Most of the Department is barren altiplano, with volcanic peaks of the Cordillera Occidental range forming its western border with Chile. 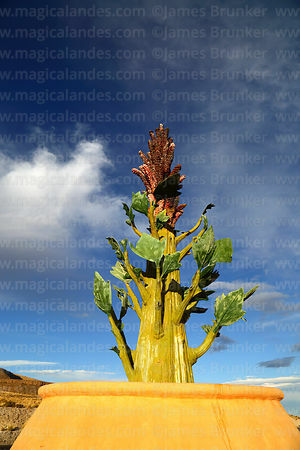 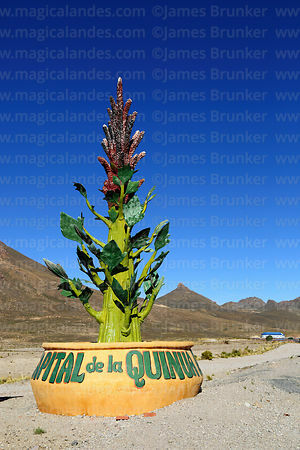 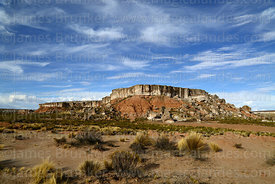 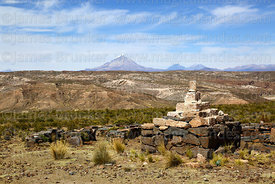 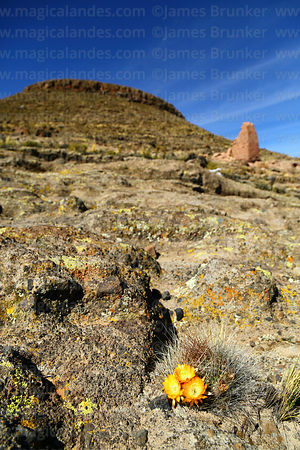 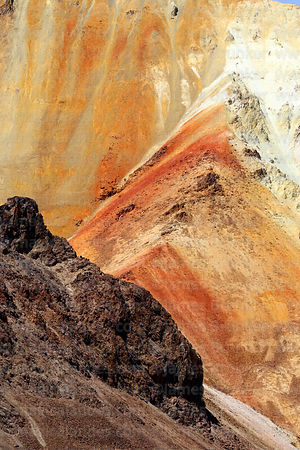 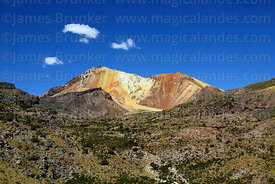 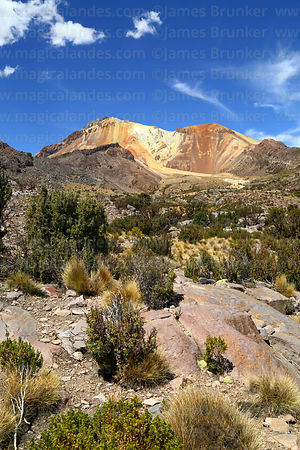 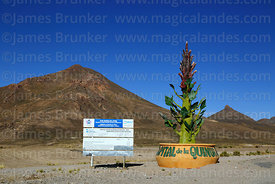 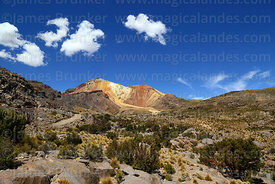 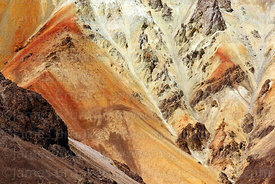 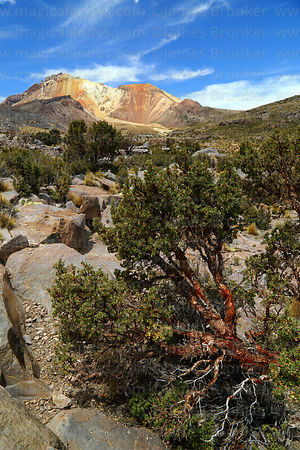 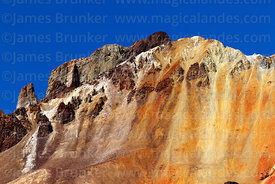 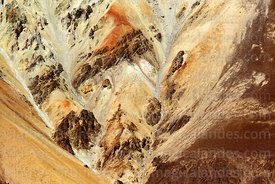 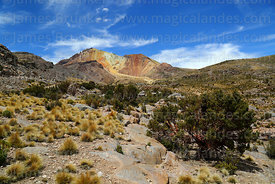 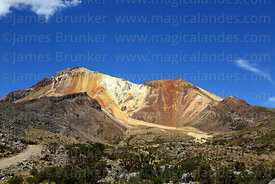 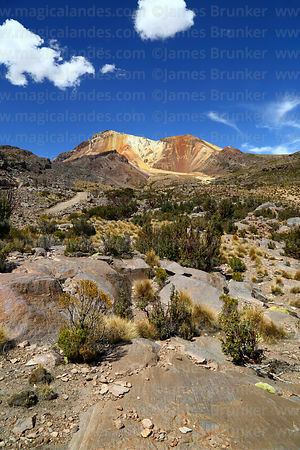 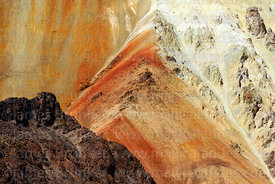 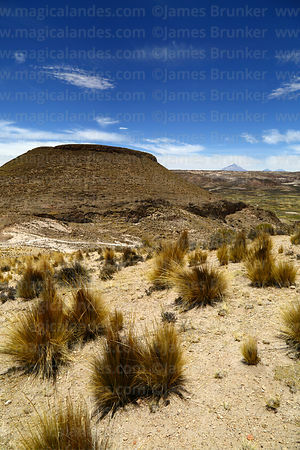 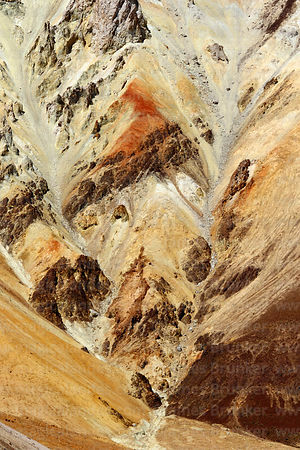 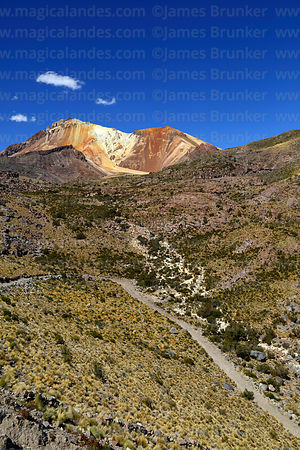 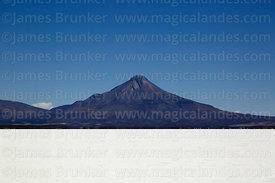 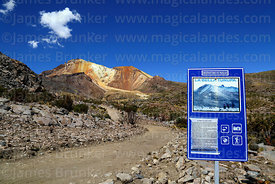 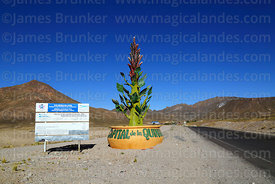 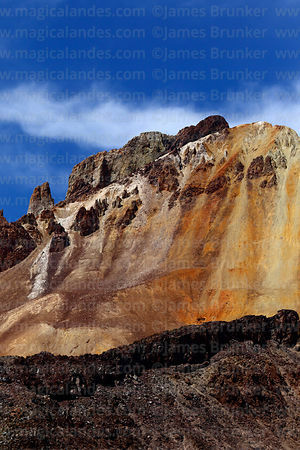 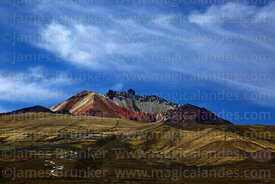 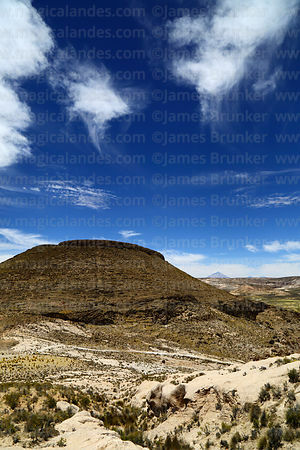 It contains the Sajama volcano, Bolivia's highest mountain (please see the Sajama National Park gallery for images of the Park). 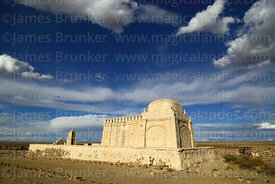 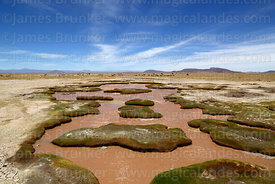 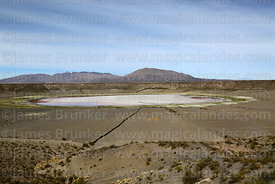 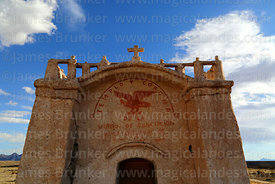 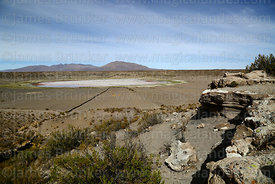 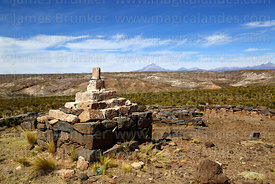 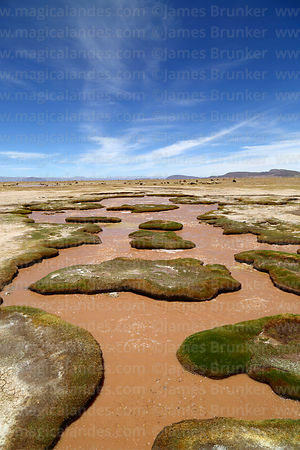 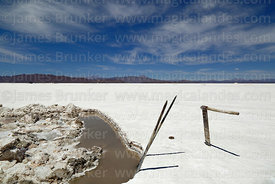 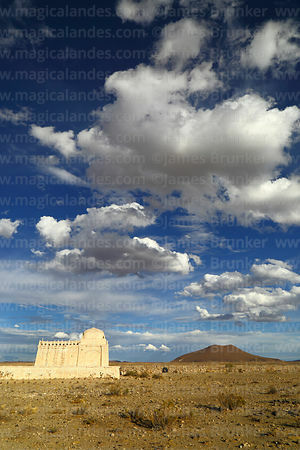 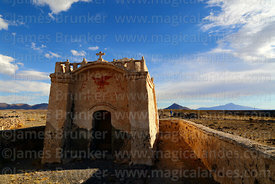 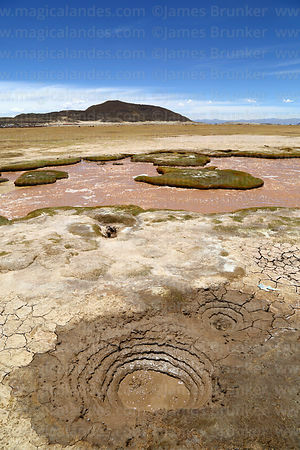 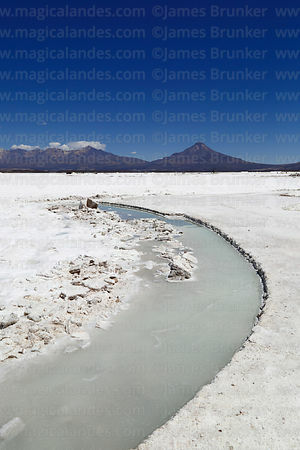 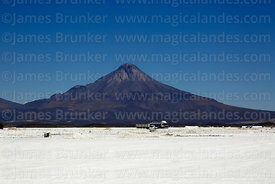 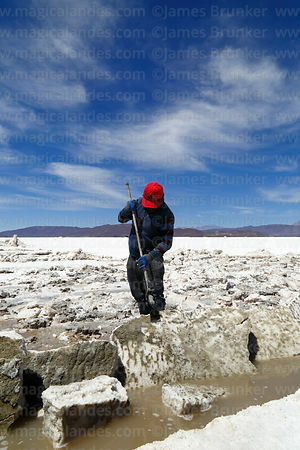 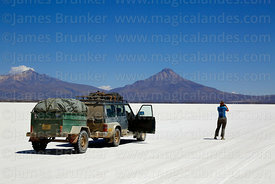 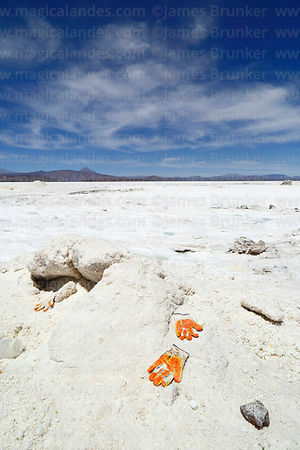 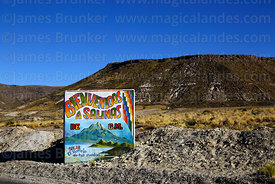 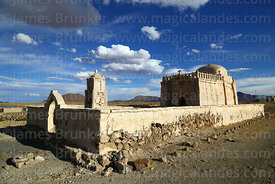 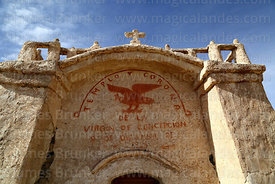 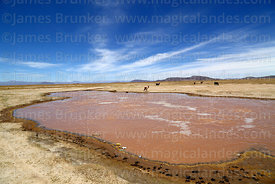 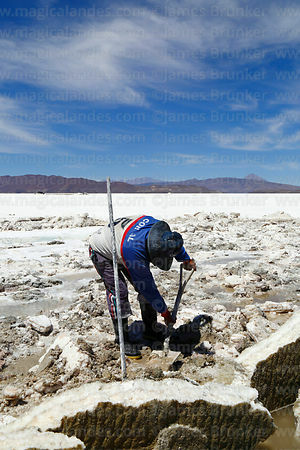 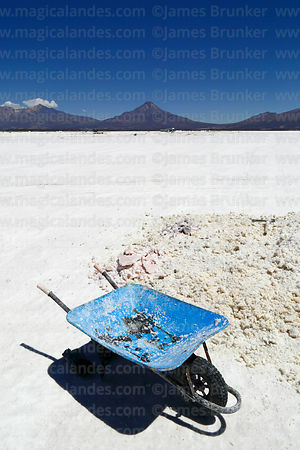 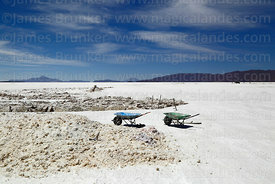 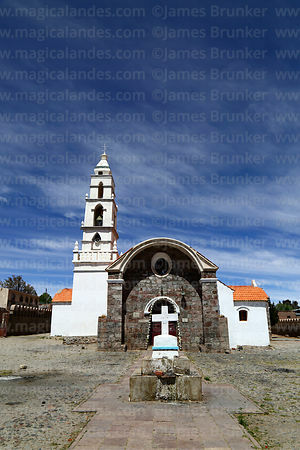 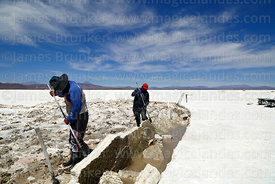 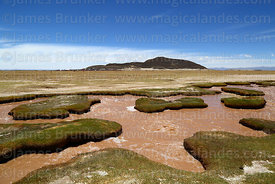 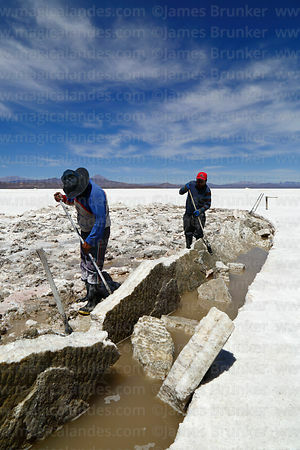 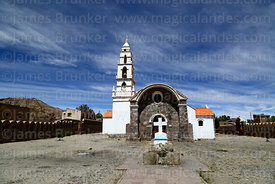 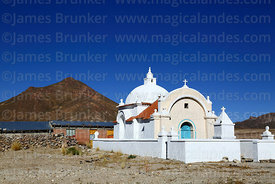 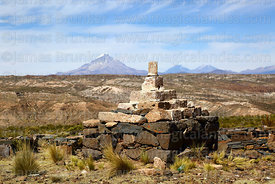 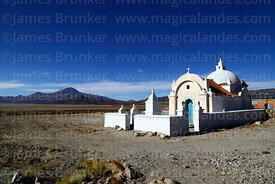 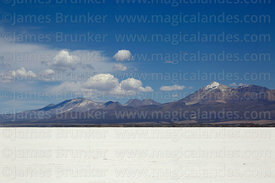 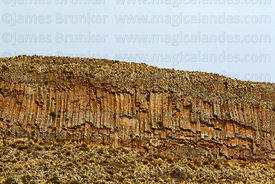 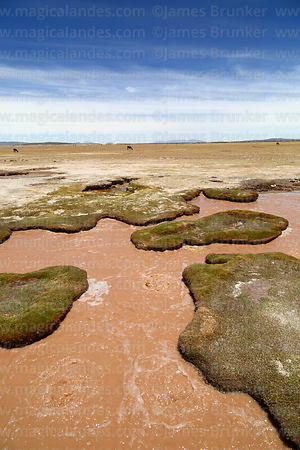 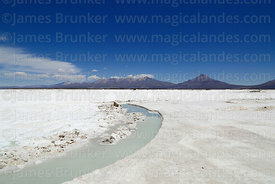 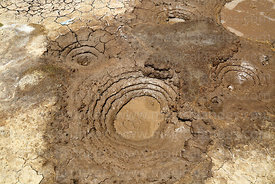 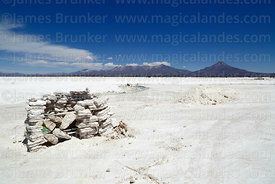 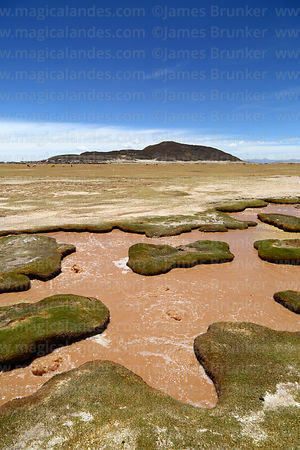 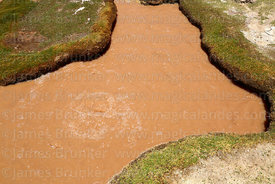 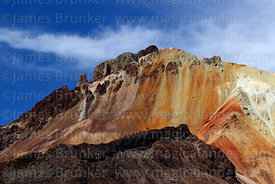 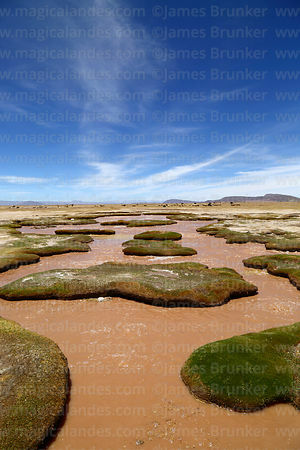 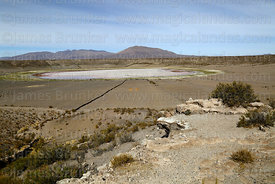 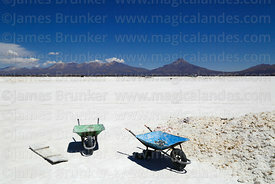 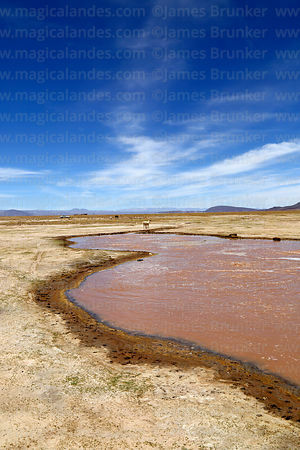 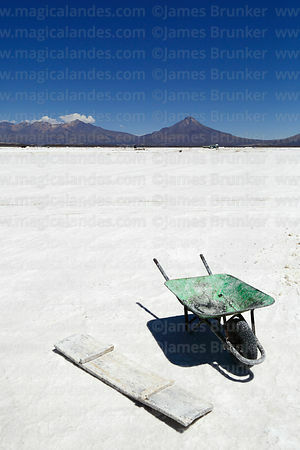 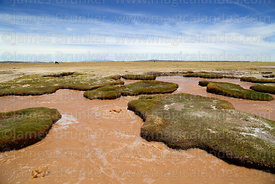 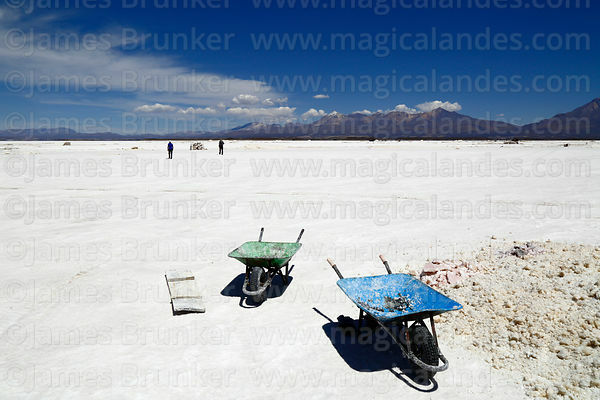 Other notable geographical features include Lake Poopo and the Salar de Coipasa (the 5th largest salt flat in the world and 2nd largest in Bolivia).